Since Denny Oklak took the reins of Duke Realty Corp. (NYSE: DRE) in 2004, the one constant of his tenure has been change. The company veteran set out to prune and reposition Duke’s office and industrial portfolio, which at the time contained a mixed bag of industrial property types and a number of aging assets. With the economy in a shambles in 2009, Oklak laid out a plan to significantly reduce the company’s suburban office holdings – a relatively volatile asset class that can be highly costly to maintain and re-tenant – and to grow its more stable medical office and industrial portfolios. Under the plan, industrial would become the Indianapolis-based company’s largest asset class, although Duke had already shed a big portion of its so-called flex buildings to focus on much larger, bulk distribution facilities. One of Duke’s biggest challenges would be finding buyers for a substantial portion of its suburban office properties, part of an asset class that has languished during the ongoing recovery in light of stubbornly high unemployment and a sharp focus among corporate tenants on controlling real estate costs. With suburban office properties generally trading at higher capitalization rates than industrial and medical office buildings, some investors also worried about the potentially dilutive effects of the repositioning on funds from operations. Today, Duke, which marked its 40th anniversary in 2012, is poised to hit the ambitious targets it set for itself in 2009, when the company had an investment allocation of 55 percent suburban office, 36 percent industrial, 5 percent medical office and 4 percent retail. Its repositioning plan called for shifting that allocation to 25 percent suburban office, 60 percent industrial and 15 percent medical office by the end of 2013. In all, Duke, which didn’t expand beyond its Midwest stronghold until 1999, owns and operates about 142 million rentable square feet of industrial and office property in 18 major U.S. cities. Duke had a $3.7 billion equity market capitalization in the third quarter of last year. About 30 percent of its industrial properties measure more than 500,000 square feet. “What we have tried to do is change the face of the company from a property point of view in order to position ourselves for growth over the next 10 to 15 years, but to keep the people and core operating principles in place,” says Oklak, an Indiana native who joined then privately held Duke in 1986 and eventually succeeded Thomas L. Hefner as CEO. Since embarking on its repositioning, Duke has raised some $2.2 billion, mostly from the sale of suburban office properties. In late 2011, it closed a pivotal deal, selling a geographically diverse portfolio of suburban office buildings to an affiliate of Blackstone Real Estate Partners VII for nearly $1.1 billion. Most of the properties were unencumbered by debt, allowing Blackstone to take advantage of historically low interest rates and Duke to fetch what it called “favorable pricing” for the portfolio. Blackstone assumed about $25 million in mortgage debt as part of the purchase price, according to Duke’s 2011 annual report. The sale represented about a third of Duke’s suburban office holdings, according to Green Street Advisors. What we have tried to do is change the face of the company to position ourselves for growth over the next 10 to 15 years. “That deal was a big step toward the repositioning strategy they have undertaken, and the stock was rewarded in the first half of 2012,” says John Stewart, an analyst at Green Street. Duke has used the proceeds from asset sales to fund acquisitions and developments of industrial and medical office properties and to pay down debt somewhat. In November of last year, the company announced that it had hit its 15 percent allocation target for medical office. Two acquisitions with a combined price tag of $390 million pushed it to its goal for the asset class, which generally has a high rate of tenant retention. As of the third quarter of 2012, suburban office accounted for 31 percent of Duke’s investment allocation, while industrial accounted for 53 percent. Duke made its foray into the medical office sector in 2007 with its acquisition of Bremner Healthcare Real Estate, previously a joint venture partner. 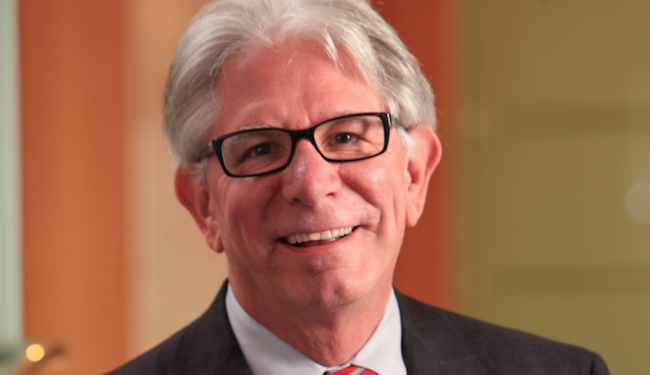 Bremner Healthcare founder James D. Bremner now presides over Duke’s healthcare division, which has specialized in developing medical office buildings on the campuses of large hospital systems. In many cases, the buildings have been developed to accommodate a need for additional space generated by acquisitions of physician practices. Duke has leveraged its relationships with hospital systems to make acquisitions of medical office buildings in recent years, according to Oklak. At the end of the third quarter of last year, the in-service occupancy rate for Duke’s medical office portfolio was about 92 percent, compared to 86 percent for its suburban office portfolio, according to the company. “It is a little more expensive upfront to build a medical office building, but it is a lot more stable than a suburban office building. A lot of our medical office buildings are 100 percent leased by hospital systems,” Oklak says. The medical office sector is also benefitting from higher demand for health care tied to the aging of the Baby Boom generation. Health care demand is expected to spike further with the ongoing implementation of the Patient Protection and Affordable Care Act, commonly known as Obamacare. Duke’s repositioning has reduced its presence in the Midwest, largely through the sale of suburban office holdings. In the industrial sector, the company, a prolific developer prior to the Great Recession, is still a dominant player in the region, where warehouses and distribution centers benefit from their strategic location in the center of the country. Duke’s industrial acquisitions in recent years have given it a larger presence in a number of major distribution markets outside the Midwest, including a toehold in Southern California. In 2011 Duke placed a big bet on South Florida with a $450 million acquisition that made it the largest owner of industrial space in densely populated Broward and Palm Beach counties, submarkets where the scarcity of industrial land keeps a lid on competition, Oklak says. Once complete, the repositioning will have reduced Duke’s footprint in the Midwest to 40 percent of its portfolio, down from 54 percent in 2009, according to the company. Thirty percent of its portfolio will be located in the Southeast, and another 15 percent in the East. The rest will be divided between the South (10 percent) and the West (5 percent). “We knew that as we moved out of suburban office, our concentration in the Midwest would go down. We also knew that our concentration in the industrial sector in the Midwest wasn’t going to grow that much, because we dominate in a number of big markets there,” Oklak says. Core funds from operations have remained relatively flat during the repositioning, but adjusted funds from operations have grown over time, thanks in part to lower capital expenditures, Oklak says. For the nine-month period ending Sept. 30, 2012, AFFO per share grew 5.2 percent over the comparable period in 2011, according to the company. Core FFO per share was $0.26 for the third quarter of last year, down from $0.29 per square for the prior-year period, mostly as a result of lower property portfolio income tied to the repositioning, according to the company. “When we completed the Blackstone deal, we really began to see that we were going to make it and that the repositioning would not be dilutive to AFFO,” Oklak says. Investors have taken notice. In 2012, Duke shares had a total return of just over 20 percent, outperforming the FTSE NAREIT All Equity REITs index, which returned 19.7 percent. But the company’s leverage level and an anticipated equity offering weighed on its stock late last year, according to analysts. Duke’s debt-to-total market capitalization was nearly 47 percent as of the third quarter of last year, according to Sheehan of Edward Jones. Duke officials have said they plan to continue to use proceeds from ongoing asset sales, along with possible equity issuances, to further reduce leverage and to fund developments and acquisitions. The repositioning, Oklak says, has helped to improve cash flow and lowered the volatility of the company’s portfolio, both of which will strengthen Duke’s leverage profile. In the third quarter of last year, the company reported a record-high tenant retention rate of just over 90 percent. “There is a perception among many investors that Duke is overpaying for medical office buildings in far-flung locales, and that [Duke] needs to de-lever,” says John W. Guinee III, a managing director at Stifel Nicolaus. “We think the street will be proven wrong once it figures out that Duke is aggressively selling suburban office assets, which will provide plenty of capital for development and medical office building acquisitions. We think the 2013 earnings numbers will be superior,” he adds. With the industrial sector on more solid footing and much less uncertainty surrounding the fate of Obamacare, Duke has begun to ramp up its development activities in the industrial and medical office sectors. In the first 11 months of 2012, the company had development starts of about $374 million, compared to average yearly starts of some $177 million between 2009 and 2011. Overall, there is still very little development taking place in the U.S. industrial sector, which bodes well for continued improvements in occupancy, Oklak says. The growth in e-commerce, he adds, has also improved conditions for bulk industrial properties by fueling stronger demand for the largest distribution facilities. Yet, the industrial sector still has a long way to go to return to the 9 percent vacancy rate of its previous peak in 2007, according to Stewart of Green Street. As of the late last year, its vacancy rate was about 13 percent, he says. Total occupancy for Duke’s in-service bulk industrial portfolio was 94 percent for the third quarter of last year. The company’s same-property net operating income grew 2 percent for the third quarter, compared to the prior-year period. Same-property NOI climbed 3.5 percent for the 12 months ending in the third quarter of last year, on a year-over-year basis. “In half our markets, our industrial product is more than 95 percent leased. We consider above 95 percent to be very good for any industrial market. Even the low to mid 90s is solid,” Oklak says.